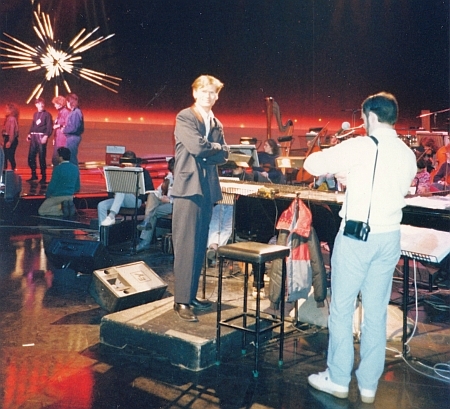 Arild Stav represented Norway on one occasion in the Eurovision Song Contest, conducting the orchestra for ‘For vår jord’, which was the Nordic country’s entry in the 1988 edition of the festival. In Dublin, this wonderful ballad, composed by Anita Skorgan and performed by Karoline Krüger, managed to pick up 88 votes and a fifth spot. Stav did not finish his secondary education in his native Lillestrøm, but in Oslo, where he was a pupil (1973-’76) at the Foss Upper Secondary School. “The curriculum there includes all normal school subjects”, Stav explains, “but there is a focus on music, allowing students to prepare for the conservatory. 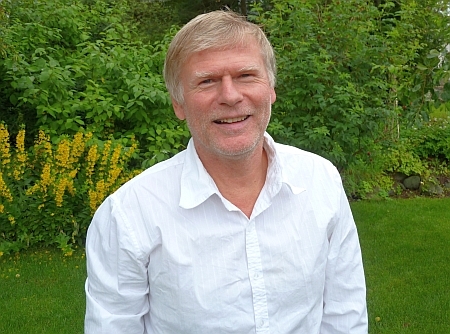 At Foss, I followed courses in theoretical subjects such as solfège and music history; moreover, apart from studying the clarinet, I was also taught to play the saxophone, the flute, and the piano.” One year after finishing his studies at Foss, Stav entered the Norwegian Academy of Music, also in Oslo, where he graduated in 1981. He studied the clarinet with Richard Kjelstrup, in the meantime focussing on a wide range of other, compulsory subjects, including harmony and arranging. He also took several conducting courses, amongst which one with the renowned Norwegian opera and operetta conductor Arvid Fladmoe (1915-1993). 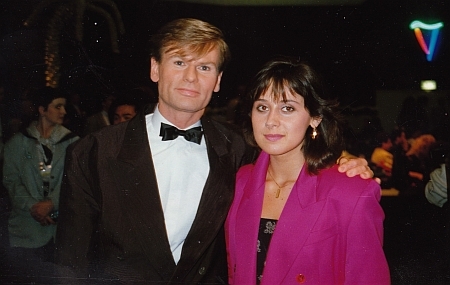 In the second half of the 1980s as well as in the 1990s and the 2000s, Arild Stav conducted many stage shows in the Château Neuf, including ‘The Sound of Music’ starring Sissel Kyrkjebø (1988), a huge box-office success in Norway, ‘Annie get your gun’, ‘La cage aux folles’, ‘Sugar’, ‘I blanke messingen’, ‘West Side Story’, and ‘Oh Calcutta’. 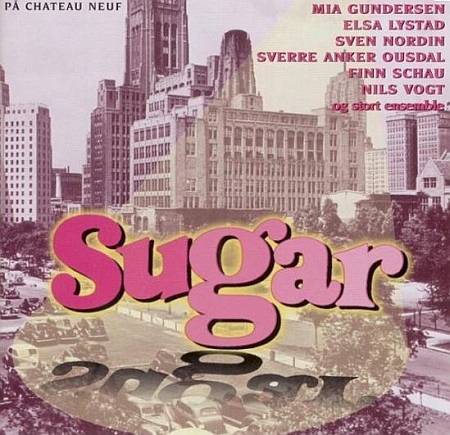 On top of that, he conducted another production, ‘Napp igjen’, which was staged in Oslo’s Central Theatre. Thanks to the reputation he had built up as a session musician and a theatre conductor, Stav was invited to work on several television projects with NRK in the 1980s and 1990s as well, including several editions of the Norwegian Eurovision pre-selection as a member of the accompanying orchestra, as an instrumental soloist on stage, and as the show’s musical director in 1988. Moreover, he conducted TV orchestras for live shows and galas such as ‘Filmens dag’ and the opening of the Aker Brygge Conference Centre in Oslo. Back in Oslo, Stav once more established himself in the music studios as a saxophonist and occasionally as a producer and conductor as well. He worked on two albums with Wenche Myhre, with whom he also toured Norway. Moreover, he worked in the studio and on stage with the internationally acclaimed Norwegian violinist Arve Tellefsen. Stav also recorded music with the likes of Anita Skorgan, Bård Wessel, Sigvard Dagsland, and Bendik Hofseth. 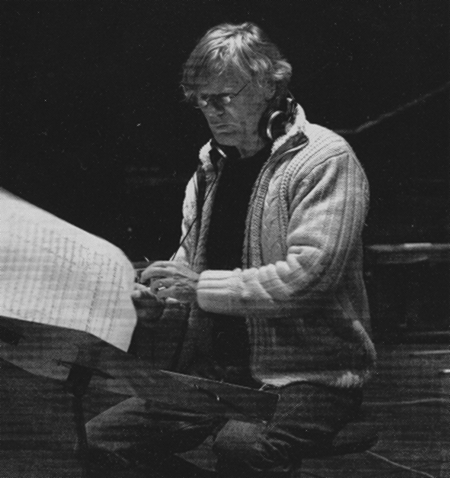 He conducted the studio orchestra for Maj Britt Andersen’s CD ‘Kjærtegn’ (1992). More recently, he co-composed, arranged, and produced the album ‘Hvis jeg kunne fly’ (2006), a charity project for hospitalized children with vocalists Hanne Krogh, Maj Britt Andersen, Trine Rein, and Amund Enger collaborating. Stav also produced recording projects with the Skedsmo Voices, a youth choir, and Stine Hansen, who participated in the 2006 edition of Idol Norway. “Luckily, I have not been dependent on studio work”, Stav continues. “Especially all kinds of theatre productions have made sure I have never been short of commissions, either as a musician or conductor.” From 1993 onwards, Stav has been teaching the clarinet at the Lillestrøm Upper Secondary School. He toured with the Riksteater and was involved in several stage shows with the National Theatre, including the musical ‘Rockeulven’ (2011). In 2005, he conducted the Norwegian version of ‘The full monty’. Beside all of this, Stav has been asked to conduct several military bands since the mid-1990s, most importantly the Forsvarets Musikkorps Nord-Norge (Norwegian Army Band North), which is based in Harstad and therefore the world’s northernmost professional military band. In 2011, he conducted a studio album with the band called ‘Tanti saluti’, a most unusual project with undeniable jazz undertones, on which reputed guest performers Gabriele Mirabassi (clarinet) and Lars Jansson (piano) collaborated. In the 2000s, Stav brought together a big band with friends from the music business and performed in concerts with his own soul and gospel band. 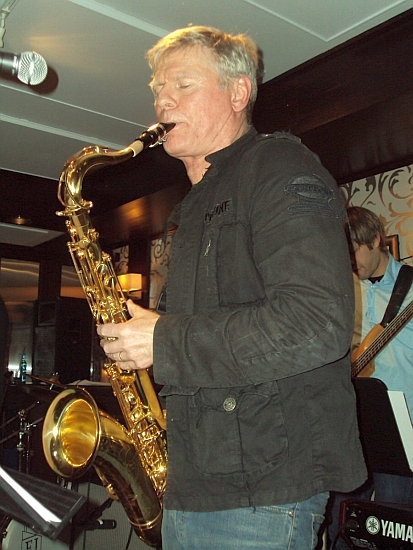 In 2010, he formed a jazz quartet with Hermund Nygård, Jens Andreas Kleiven, and John Børge Askeland. In 2001, Arild Stav released his first solo album, ‘Dawn’, with a mix of meditative sounds, folk melodies, religious lyrics, and a jazzy instrumentation. Stav about this special project: “It all started quite differently, because the original idea was to record an album with music by Egil Monn-Iversen. That was exactly the period when Egil fell ill, however. He was out of business and never returned – so the project had to be stopped. Being its producer, I had already been given the money to make an album, but Egil’s illness changed the direction completely. After having been in the recording business for twenty-five years, I finally had the opportunity to make something of my own – with music of my choice. All of a sudden, I found out that I could compose some melodies myself as well. For the recording, I invited the friends from the recording studios with whom I had been working all these years, such as Helge Iberg and Ole Edvard Antonsen. We also did some live shows… it truly was an inspirational experience.” In 2011, Stav teamed up with one of the musicians with whom he had worked on ‘Dawn’, guitarist Svein Skulstad, to release a new album with self-composed instrumentals, ‘Contemplation’. 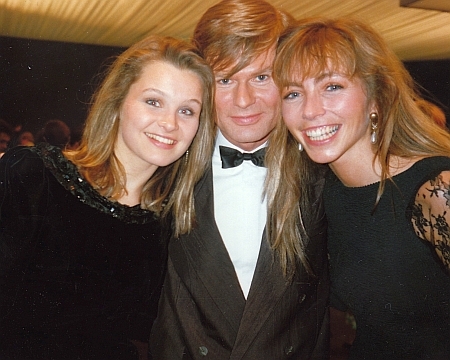 In 1988, Arild Stav was invited to be the musical director of the final of that year’s Norwegian pre-selection. The Melodi Grand Prix was held on what was very familiar ground for Stav: the Château Neuf Theatre in Oslo. The presentation of the show was in the able hands of Dan Børge Akerø. Ten songs qualified for the final, with well-known names such as Jahn Teigen, Tor Endresen, Jan Eggum, and Elisabeth Moberg amongst the participating artists. In the end, however, it was a young girl who made her debut, Karoline Krüger, who walked away with first prize for her subtle ballad ‘For vår jord’ (composed by Anita Skorgan with lyrics by Erik Hillestad). Arild Stav never returned as a conductor to the Melodi Grand Prix or the Eurovision Song Contest. 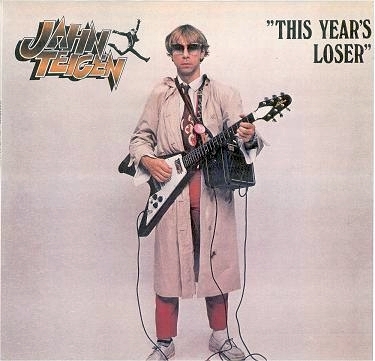 The year after his Eurovision participation in Dublin, he accepted the job of principal clarinettist in the Trondheim Symphony Orchestra, which meant he left most of his theatre and session work in Oslo behind; as a result, he disappeared from the radar of television producers as well. In spite of this, he was a member of the selection committee which chose ‘Mrs. 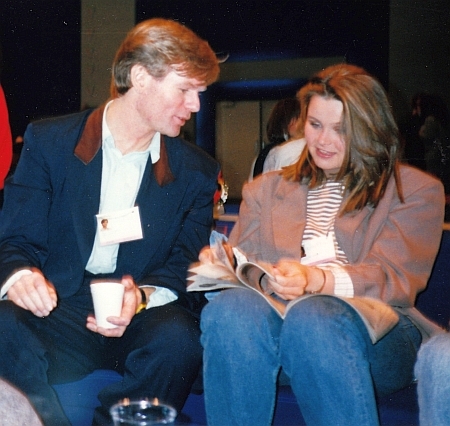 Thompson’ as the Norwegian representative in the 1991 Eurovision Song Contest; two years later, in 1993, he was in the jury which selected Silje Vige and her song ‘Alle mine tankar’ as the most suitable choice for the contest. Bas Tukker interviewed Arild Stav in Skedsmokorset (Norway), July 2011. The encyclopaedia of Norwegian entertainment music: Jan Eggum, Bård Ose & Siren Steen, “Norsk Pop & Rock Leksikon”, Oslo (Vega Forlag) 2005 (second edition). All photos courtesy of Arild Stav.